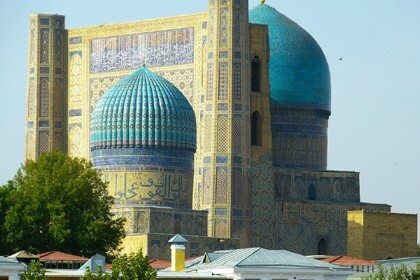 The name of Allakuli-khan, active successor of his father Muhammad Rahim Khan I, in the history of Khorezm is associated with increased power, strengthening the borders and development of diplomatic relations with the leading countries of the world - the Russian, British, Ottoman Empires, Iran and Afghanistan. At this time irrigation develops and that was an important achievement for the country, located in the middle of the desert. 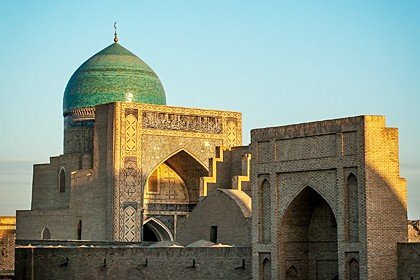 Also, the active construction of the town was going on - residence building, famous Palace of Tash-hauli, trading Dome, mosques, caravanserais. He ordered to build the walls, forming the outer defensive circle called Dishan-Kala. As they said, the wall was built within one month. 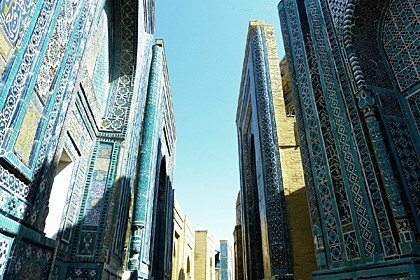 Although there is enough information about the period of Allakuli-khan life, little information remained about one of the major architectural creations of his period - about construction of madrasa. According to historical data, its estimated construction date was mid 30-s in the 19th century. 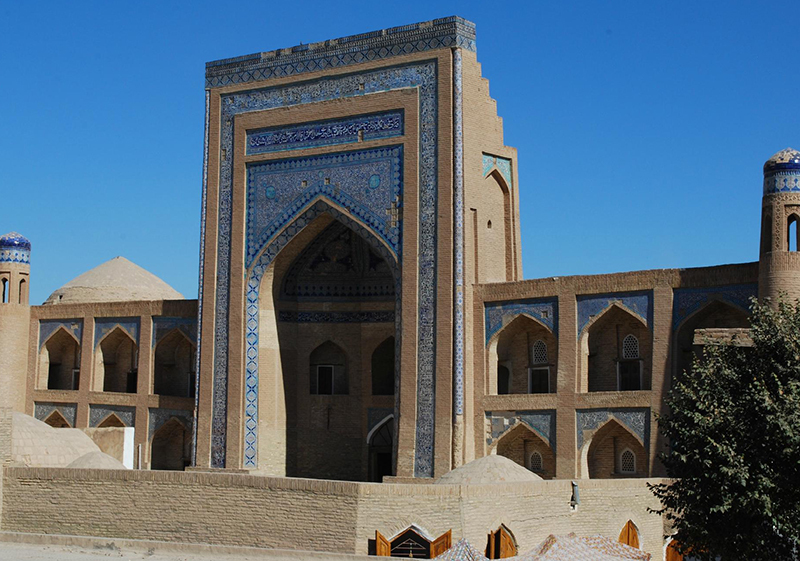 Being a solid person, Allakuli-Khan seriously approached to the construction of the madrasa - by his orders for the future building, a 3-meter foundation was erected, and instead of mud bricks, more strong and durable burnt brick was used. 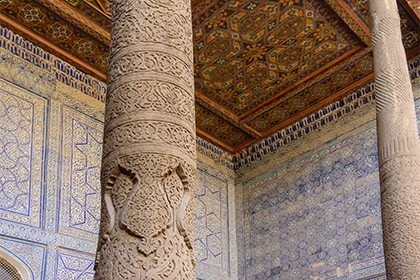 The Madrasa was built in two floors, consisted of 99 cells, classrooms, a mosque and a private library. Allakuli-Khan himself, being active ruler, actively controlled the process of implementing his own projects. Sometimes it seems that the characteristic features of the ruler are displayed in those buildings that were erected in his time and became a symbol of his reign. And now, looking at the massive building of madrassa, that once served as a temple to knowledge and education, a person feels how alive mind, artistic taste, strength of character and firm hand are combined in one person.